For the most part, boosts are very simple to build. and most important component on a pedal board. For the most part, boosts are very simple to build. 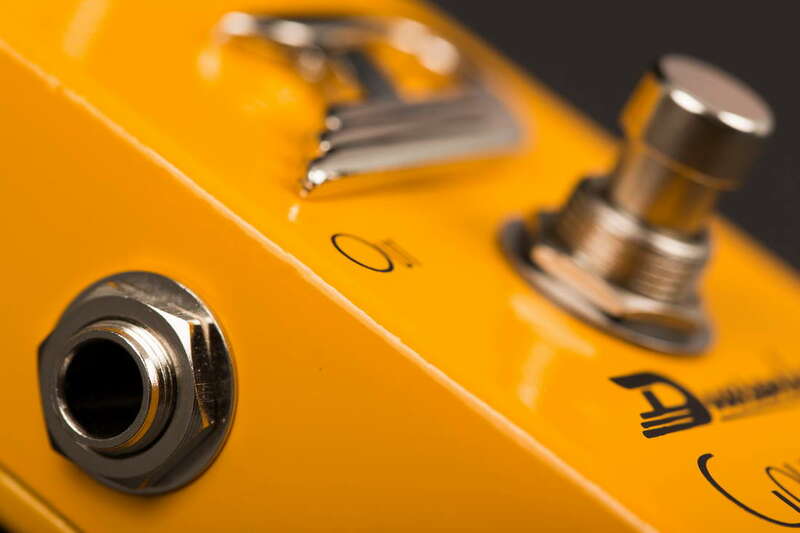 Nonetheless, they are often the most versatile and most important component on a pedal board. 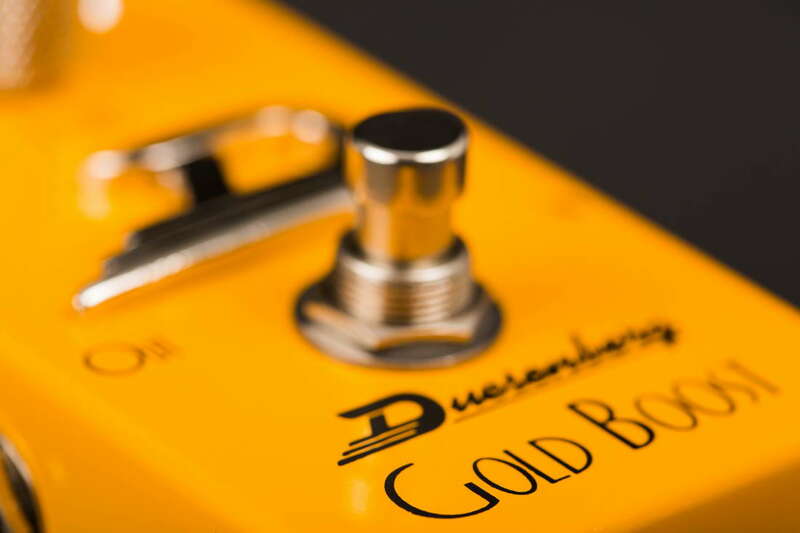 This is especially true of the 100% analog Gold Boost, because of its high input impedance (ca. 4.7 MOhm), which activates even the guitar’s most outlying – and perhaps even forgotten – treble regions. Many liken this effect to pulling away a curtain that had been hanging in front of the amplifier. 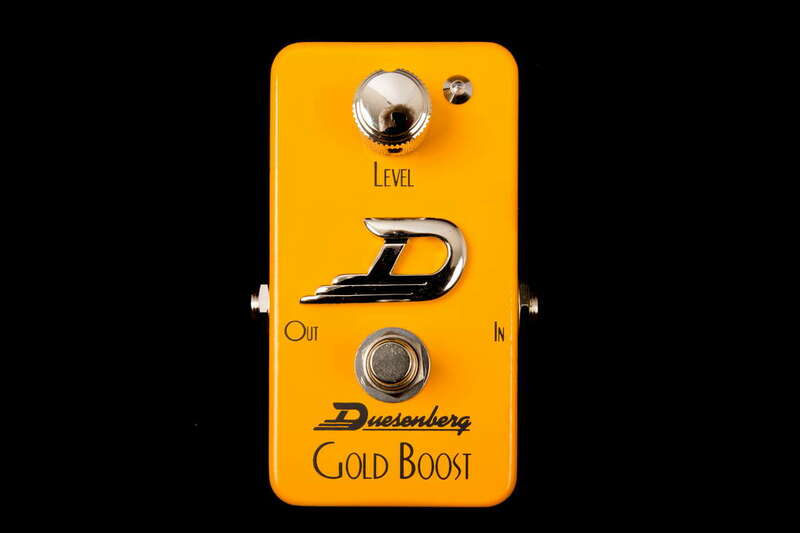 With its super linear frequency path, however, the Gold Boost can also be engaged as a pure buffer. All it takes is striken counterclockwise the pedal’s one pot. This transforms the instrument signal with high impedance into an output signal with significantly lower impedance – all at the most sophisticated level of sound. The signal meanwhile retains total transparency, strength and dynamics, as well as its full tone – even with long cable pathways and complex effects setups. 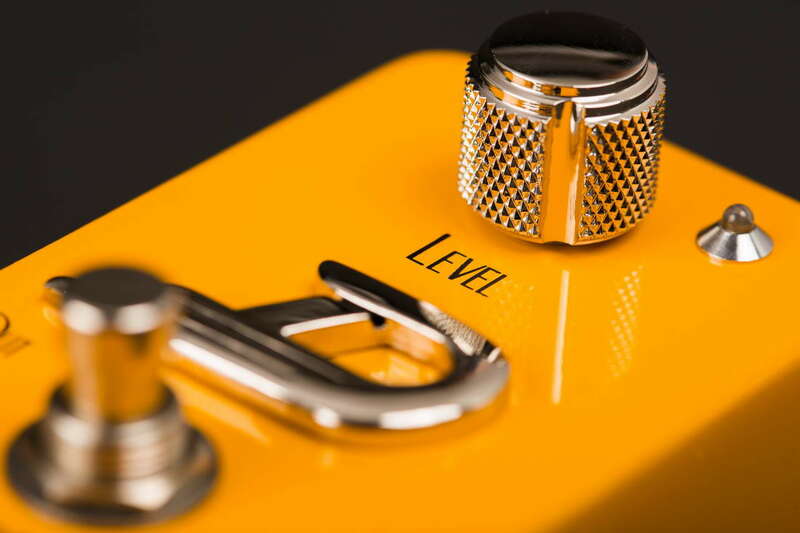 At higher boost levels (above the 12 o’clock pot setting), trebles are dampened slightly, which will noticeably improve the sound of an overdriven (tube) amp.